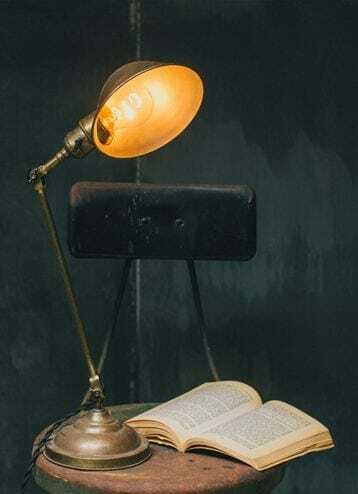 Early 20th century adjustable Faries desk lamp. Stepped brass base and parabolic shade with rolled rim. On-off paddle switch and braided cord wiring. Manufactured in Decatur, Illinois. Dimensions: Approximately 25" in length with 6" base.